Click on the links below for valuable resources to help build your team and meet your fundraising goal. Check back periodically as additional forms will be added. Teams can choose to purchase their own tent, tables and chairs. To purchase your team tent, refer to the Team Tent Rental Form. Publix is offering a special catering opportunity for teams! 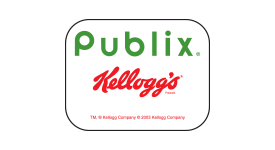 Team Captains can order food for their Team Tent, day of race, and Publix will deliver the food to their tent in the morning. Host a kickoff meeting or event and invite the Susan G. Komen® Miami/Ft. Lauderdale staff to make a presentation. Team fuindraising helps ensure that we will be able to make the biggest impact in the community.